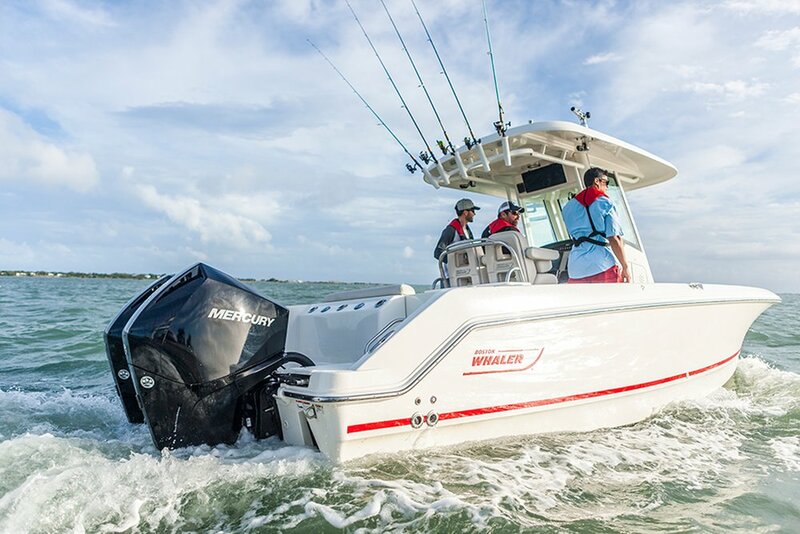 Miami, Fla. – Mercury Marine is pleased to introduce its new V6 FourStroke outboard family and the expansion of its SeaPro commercial line at the 2018 Miami International Boat Show. The new engine family, which builds on the success of Mercury’s 75-150hp FourStroke outboards, features 175hp, 200hp and 225hp FourStroke outboards and a V6 200hp SeaPro commercial outboard. 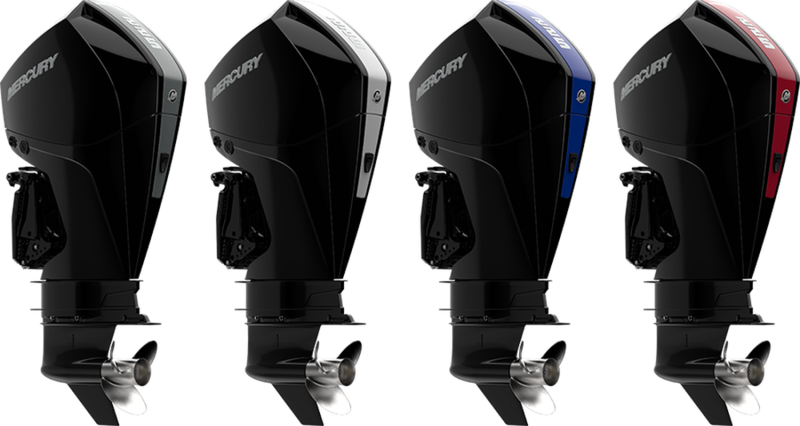 The new Mercury FourStroke and SeaPro outboards are built on Mercury’s new 3.4-liter V6 platform, which is designed to be powerful, light, compact and fuel-efficient. The new V6 engines are precision engineered from skeg to cowl. The 3.4L V6 employs a large displacement, naturally aspirated powerhead and proven mid-section and drive-system designs. Additionally, the 3.4L V6 outboards are exceptionally versatile, offering the option of mechanical or digital controls, hydraulic or power steering, and black or white cowls on FourStroke-branded products, as well as a variety of accent panel colors. This versatility makes the new V6 an ideal engine for repower applications. The new FourStroke engine not only provides large displacement at 200hp, but is also exceptionally light weight at 475 pounds – the lightest weight in its class by more than 10 pounds. Lean and mean, the 3.4L V6 FourStroke boasts Mercury’s best acceleration and 20 percent more torque than the closest four-cylinder competitor at cruise. Fuel efficiency is also unmatched – the new 3.4L V6 FourStroke is calibrated to maximize fuel economy at cruise, yielding an advantage of up to a 15 percent compared to the closest four-cylinder competitor. Mercury’s 3.4L, 200hp FourStroke is the company’s largest displacement in 200hp class. At 475 pounds, the engine is also the lightest in its class, and is 35 pounds lighter than current product in this range. With its performance-inspired dual overhead cam (quad cam) and four- valve design, the engine will reach higher speeds, faster. 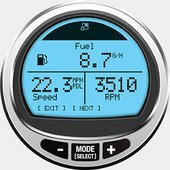 In addition, this outboard is the only one of its kind that maintains rpm regardless of load or condition changes and provides a “sportier” feel to the drivers. In addition, the new engines provide fuel savings to the consumer. At cruise and at WOT, the new four-stroke outboards take advantage of Mercury’s proprietary “Advanced Range Optimization” (ARO) calibration to generate greater fuel efficiency than the engine it is replacing and the closest four-cylinder competitor. 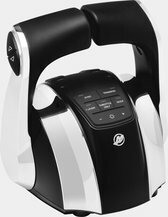 In addition to Mercury’s legendary black engines, this new lineup offers three shades of white available for the 200hp and 225hp outboards. For the first time, Mercury will also offer four accent panel colors plus ready-for-paint panels, which allow for personalization. The V6 design is naturally balanced. The Mercury SeaPro 200hp 3.4L V6 four-stroke outboard sports the company’s largest displacement in its class. It’s also is the lightest engine in its class and is approximately 25 pounds lighter than the engine it is replacing. Like all Mercury SeaPro outboard engines, the 3.4L V6 four-stroke is built for durability and reliability and is calibrated for commercial usage. Like the 3.4L V6 175-225hp FourStroke outboards, the new 200hp V6 SeaPro outboard features "Advanced Range Optimization/ARO" calibration, which was developed by Mercury engineers to optimize cruise fuel economy. 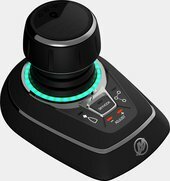 The ECU will adjust fueling automatically when conditions are right. It does this so seamlessly that the operator won’t feel or hear it. ARO allows for optimal fuel efficiency, giving consumers the confidence to stay out on the water longer.